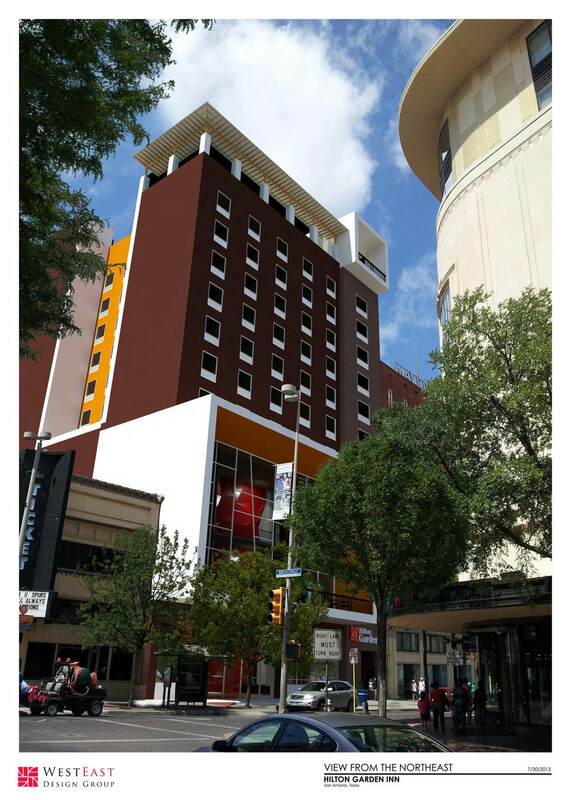 WestEast completes the design of a modern hotel in the heart of downtown San Antonio and assists with Historic Design Review approval to make this project a success. Located on Houston Street, the Hilton Garden Inn is a 10-story, 126 room hotel owned by Baywood Hotels. The hotel will replace three commercial structures built in 1885, within the Alamo Plaza Historic District. The Conservation Society determined the façades had changed significantly from the original design. The Hilton Garden Inn will bring new life to downtown San Antonio and display a distinct modern character while respecting the character of the adjacent structures.